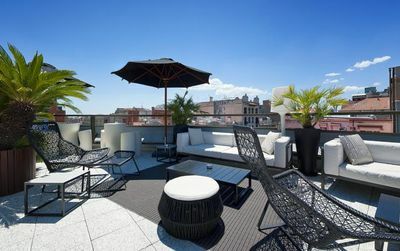 How to visit the Eixample? The word Eixample means Extension. This district exists since 1860, after the demolition of the medieval ramparts. Today it is a vast commercial and residential district. Its perpendicular streets, give the city a new vision. A small Museum in the open air, the square d'Or concentrates the biggest number of modernistic buildings in the city. Frontages of wood, glass, iron and ceramics : an architectural Delight. The Casa Calvet, built as a dwelling and offices for the textile manufacturer Pere Calvet, is the first and least imaginative of the three houses Gaudí designed for Barcelona's Eixample (Extension). The interest of the Casa Calvet centres on the imaginative resolution of the rear façade, the decoration of the hallway, and the design of the furniture, purely organic and breaking with everything before it. What most calls attention on the façade are the symbolic elements. Over the door, the owner's initial, C; and supporting the main gallery, a cypress, symbol of hospitality. On the main storey, the relieves represent mushrooms, because Pere Calvet was a mycologist. Above the gallery, the horn of plenty. The three heads of the crown represent Saint Peter the martyr (Pere Calvet's patron), Saint Genesius of Arles and Saint Genesius of Rome, patrons of Vilassar, in el Maresme, where the family came from. You can not visit the Casa Calvet in Barcelona but you can discover the very good restaurant Casa Calvet inside the building. Opening hours : Can not be visited. 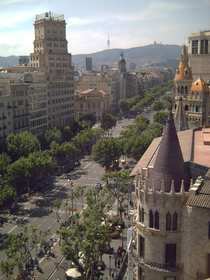 Passeig de Gràcia was from the beginning designed to be Barcelona's Grand Avenue. 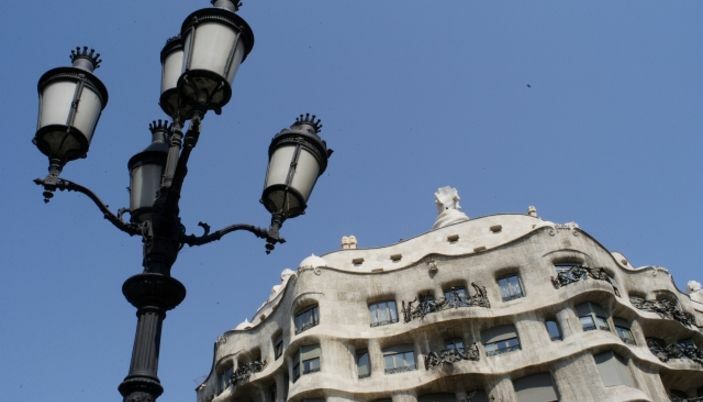 It is Barcelona's most elegant avenue and one of the best architectural walks in the city with lots of Modernist buildings (la Casa Batlló, La Casa Milà...). The quality and quantity of modernist buildings is unrivalled. It's origins can be traced back to Roman times when it was a path that linked to the Via Augusta. In medieval times the city's door to this road was the Portal dels Orbs (blind people's gate), today the Portal del Angel pedestrian shopping area. 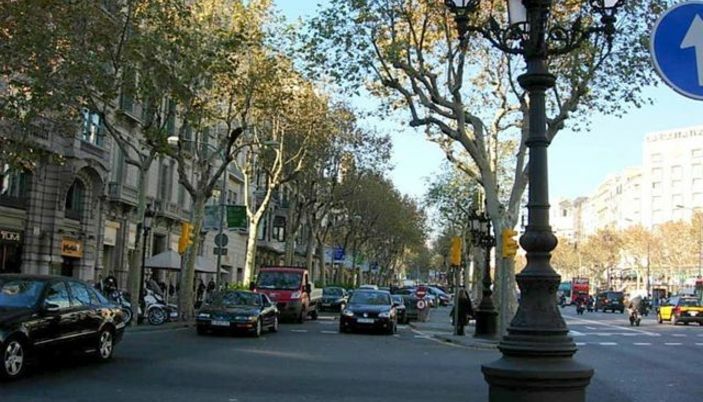 Aside from being one of the best places to see Catalan Modernist architecture, this avenue is one of the major streets for shopping in Barcelona. All national and international fashion houses have their boutique here. Among prestigious designers, you will find Adolfo Dominguez, Loewe, Chanel, Yves-Saint-Laurent, Hermès, Laurel. Foreign brands, such as Ermenegildo Zegna, Max Mara, Escada and Armand Bassi stand beside Spanish ones such as Purificación García, Camper and Loewe. Even more accessible brands like Zara, Mango, Globe, Benetton and Laura Ashley. More shopping in Barcelona.. The Music Museum of Barcelona located in an astonishing construction of architect Puig y Cadafalch. Significant collection of guitars among other rare instruments. Opening hours : Tuesday, Wednesday and Friday from 10 am to 6 pm. Thursday from 10 am to 9 pm. Saturday and Sundays, from 10 am to 7 pm. Mondays closed. Address : C. Provença, 261-265. Metro/Bus : Bus: 7,16,17, 22, 24, 28 // Metro: lines 3 and 5, Diagonal. Casa Lleo Morera. Tel : 93 488 01 39. Mondays to Saturdays from 10h to 19h. Sundays from 10h to 14h. Casa Batlló. Tel : 93 21 03 06. All days from 9h to 20h. 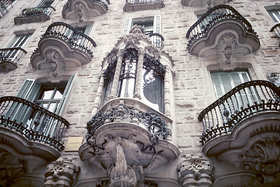 Casa Amatller. Can not be visited. Manzana de la Discordia (Apple of discord) is a contemporary pun playing with the word "manzana " meaning at the same time "block of houses" and apple. 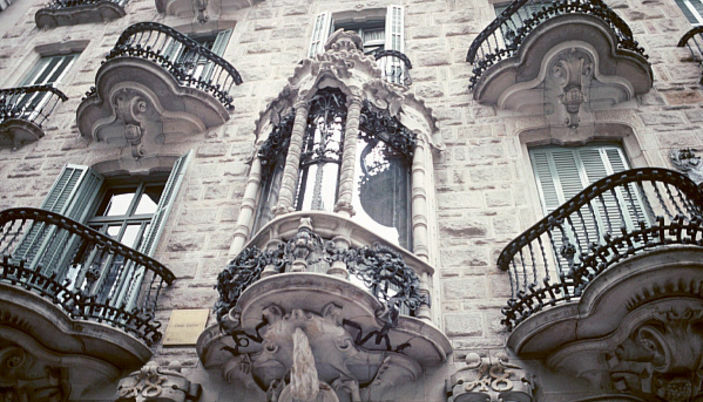 In the same block of buildings, the Four most important architects of the moment: Puig I cadafalch, Domènech I Montaner, Enric Sagnier and Gaudi. 4 palaces, 4 different styles and three different architects is the result of our big pleasure today. 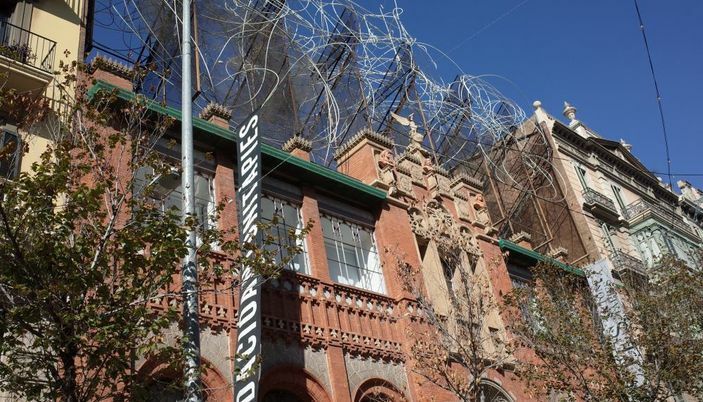 Opening hours : Tuesdays to Sundays from 10am to 7pm // Closed 25 and 26 December, 1 and 6 January. On both sides of this avenue there is a Modernist urban development from the beginning of this century, which was created by the chemist Dr. Andreu. There are some very interesting villas by several different architects. 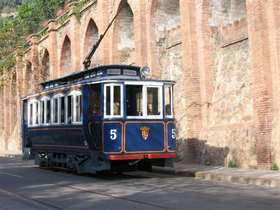 The so-called "Tramvia Blau" (blue tram) goes up this avenue and is the only one of its kind left in Spain. There is a magnificent view over Barcelona. The Park Güell is the second most visited monument in Barcelona with 2,780,000 visitors in 2015. 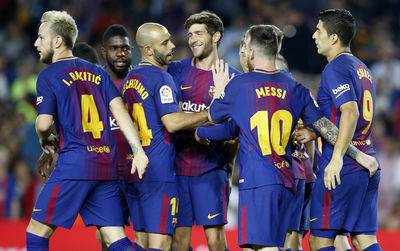 A very popular tour, full of emotion, magic and full of surprises in a place that only Antoni Gaudí could know how to get them out of the ground! 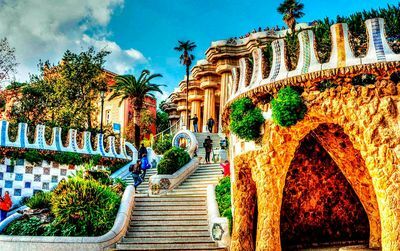 A major attraction of this Barcelona park is a walk where you can discover some of the most beautiful symbols of the city, such as the famous salamander mosaic or the large terrace surrounded by undulating benches which offers a dazzling view of the horizon. The Park Güell was inscribed on the Unesco World Heritage List in 1984 for its contribution to the development of architecture and building techniques at the end of the 19th century and the beginning of the 20th century. 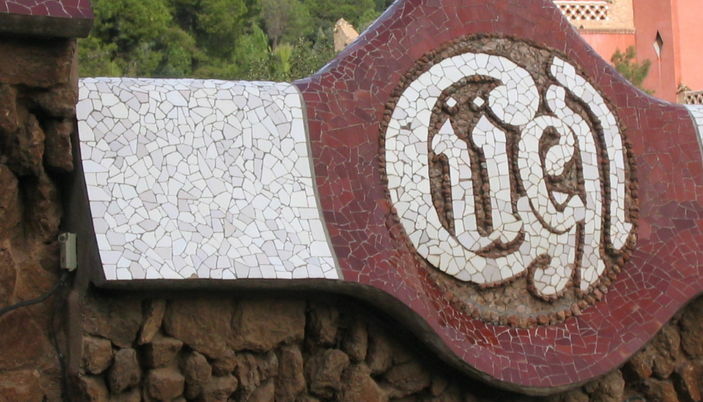 The Park Güell: a story that nearly ruined Antoni Gaudí! The history begins in 1900 when Eusebi Güell, who gave his name to this park as to other major works of Catalan modernism such as the Palau Güell, buys land on a hill in the south of Barcelona to make it a garden city. The patron who made a fortune in the textile industry during the industrial revolution of the late nineteenth century once again called the most fashionable architect of the time Antoni Gaudí. This garden city had to include a chapel and a total of 60 houses. But the cost of construction exploded in such proportions that only two houses and the Park were completed. The works ended in 1914 and the park became the property of the city of Barcelona ten years later. The only consolation for Gaudi, is that he was able to buy one of these houses when they were put up for sale. He lived there until the end of his life. 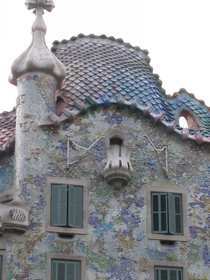 Now a days, the Gaudí residence can be visited as a Museum. The called garden cities was a popular concept in England at the end of the 19th century. A kind of rational city, situated in the countryside, offering equilibrium between jobs and houses, agriculture and industry. Gaudi took some inspiration from the English model of "Garden City", finally only maintaining the word Park Güell instead of Parque Güell. The Guell park, with an area of 17 hectares, is above all a garden. 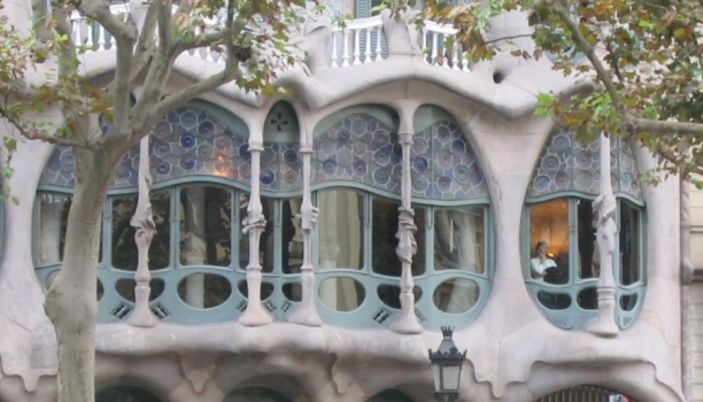 Gaudí created an original work with curves that integrates with nature or which tries to reproduce it with for example the columns of the alleys simulating trunks trees. The architect wanted a residential area loaded with symbols of Catalonia and Christianity. A large part of the park has open access. But for the most interesting part you need to buy a ticket. 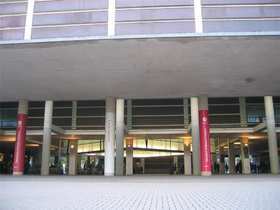 The main entrance is by Carrer d'Olot. The two mushroom-shaped pavilions that frame the entrance were built to accommodate the administration of the residence and the guard service. Today they are souvenir shops. In front of you, once past the entrance, the monumental staircase consists of several staircases and several fountains, the most famous of which is in the form of a salamander, a mosaic salamander now a symbol of the city. The Sala Hipóstila, composed of 86 columns 6 meter high, was to serve as a market and refers to a forest. All its columns are inclined in order to better support the load of the large terrace which is above. Very cleverly these columns and the vault are built in such a way that the rainwater is recovered in cisterns located under the market to allow the ecological watering of the gardens, as well as the feeding of the fountains. In the ceiling of this room, circles of mosaics represent the four seasons and the lunar cycles. The nature Square, designed as an ancient agora, is located above the Hypostyle Hall. It is the emblematic place of park. 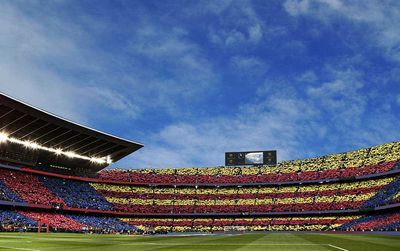 You know it without having seen it because its long bench of mosaics is one of the most photographed monuments of Barcelona. The bench is 110m long and is said to be the longest undulating bench in the world. But what really attracts all the attention is its ergonomic shape designed to sit comfortably and its famous mosaics. Gaudi used here, more than anywhere elsewhere, the technique of « trencadis » which consisted in re-using bursts of recovering ceramics to make new decorative motifs, typical of modernist Catalan architecture. This bench is the best example of this. A short walk through the park will introduce you to the gardens of Austria, a viaduct and Calvary made up of three crosses, it is the highest point of the hill. Gaudí lived 20 years in this house which has become an interesting museum to visit, because it contains an important collection of works of the master. On the ground floor, there is an exhibition of furniture designed by Gaudí for the houses Batlló and Calvet and on the first floor the office and the artist's bedroom. Admission to the park is at a fee from October 25, 2018: it costs 8 euros on the spot full price. Entries are limited so we strongly advise you to purchase the tickets in advance. All about Park Guell tickets and tours here ! Bus 24 leaves from Plaça Catalunya and drops you not far from the park. By underground, you have to get off at Lesseps L3 or Vallcarca L3 stations and walk about 20 minutes. 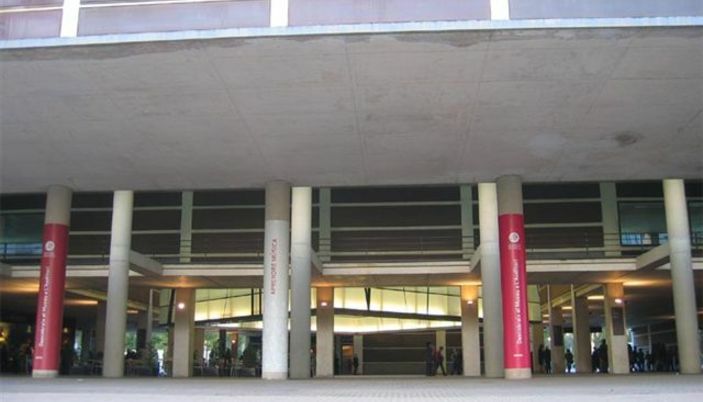 The Vallcarca station is located at the top of the park where you will only have to go down to the main entrance. 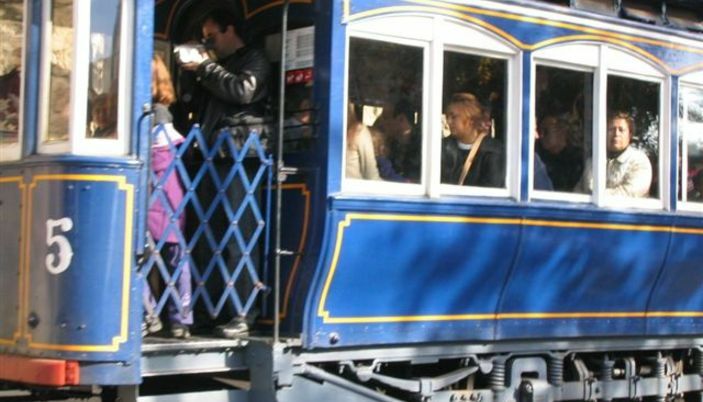 The station Lesseps is located at the bottom of the Park, so you will have to climb using escalators ..